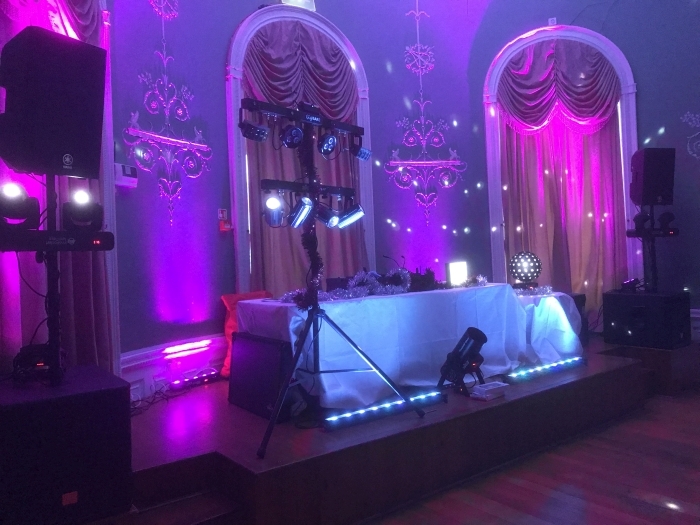 I can offer so much more to make your wedding run smoothly by not only being your high-end professional wedding DJ but also I can offer a Contemporary Masters of Ceremonies service throughout the day, plus added touches such as providing your wedding ceremony music using high end professional equipment (no Bluetooth speaker here!) with true depth of sound, background music during your wedding breakfast – maybe you would like something more than a playlist? I can tailor your wedding breakfast music to your exact requirements and truly make the soundtrack of your special day. 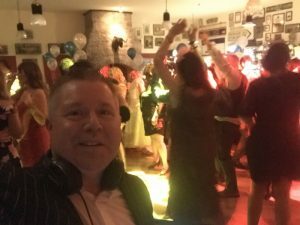 The style of my DJing when not given specific direction is very much old school party style, as a headline DJ for both Back to the 80s and the Big 90s Night Out! and Society Sundays Resident DJ at tredy Shrewsbury night club / cocktail bar Platform, Mixing tunes live, working from either a provided playlist / genre or even playing tunes, I know will fill the dancefloor is never a problem. 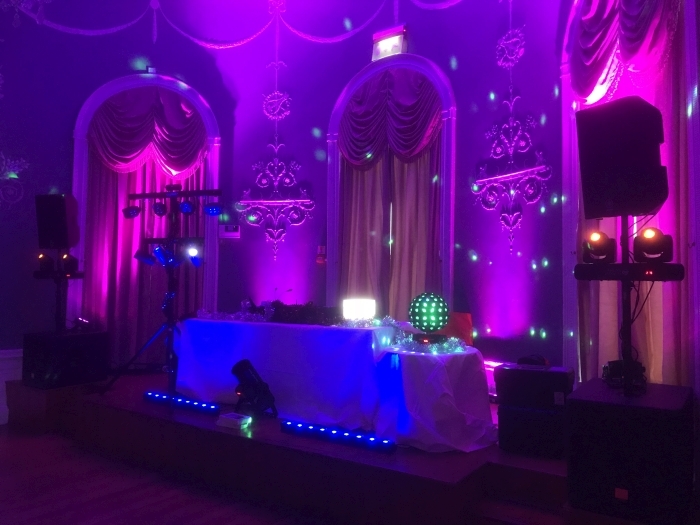 Experienced in using the microphone to get the party going and that dance floor full but always ensuring those special tunes that mean so much are included, no detail is left out. Given the choice I try to always setup in advance of any event, well before your guests arrive. 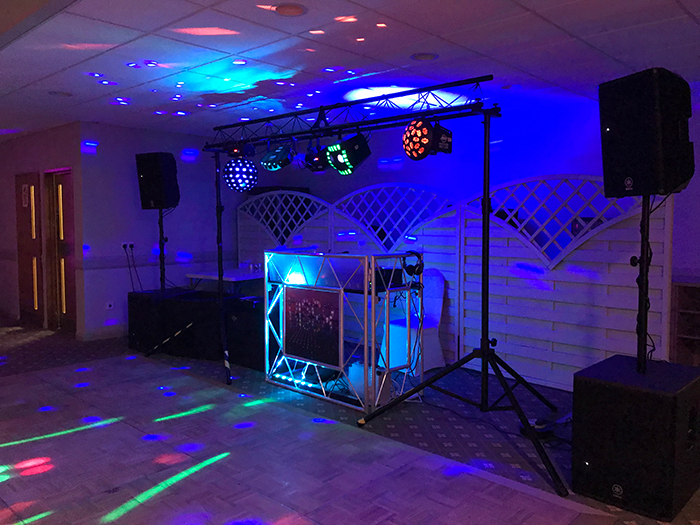 Available for not only your evening disco but also available as your MC with wireless microphones for your speeches, providing background music during your wedding breakfast, mood lighting throughout the day and night or maybe a Confetti canon to take those first dance pictures to the next level! 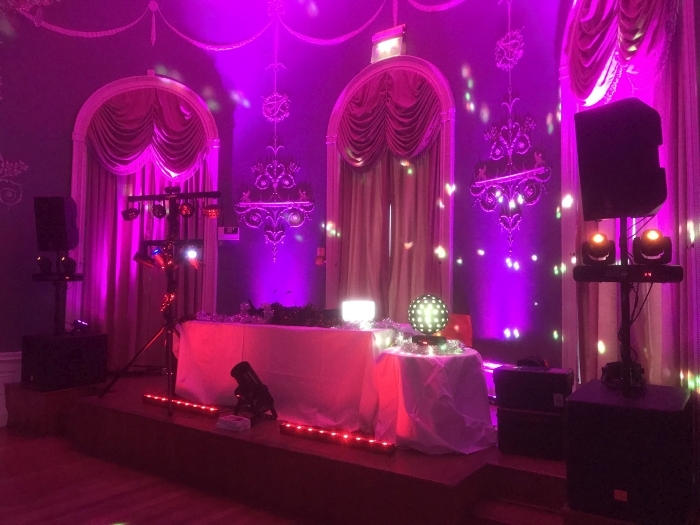 I can offer a host of options, so you can tailor your wedding music and lighting experience to your own exacting requirements. 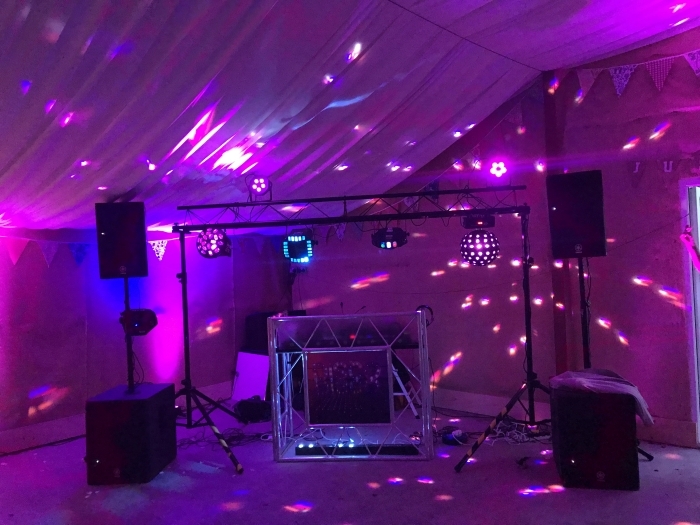 Available for pre-wedding consultations I will work with you planning the days music and lighting, so it enhances your special day even further than you could have imagined. But most importantly it’s your day and you need a Wedding DJ that can deliver what you want. 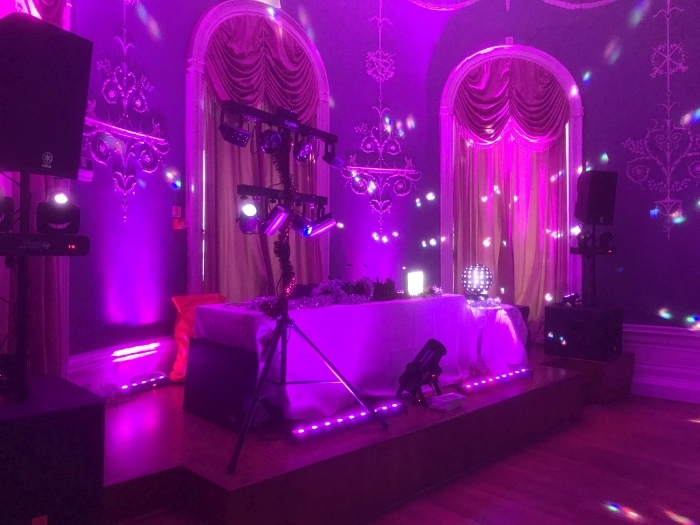 I pride myself on my reputation as being 100% reliable and trying my absolute very best each time I DJ a wedding. 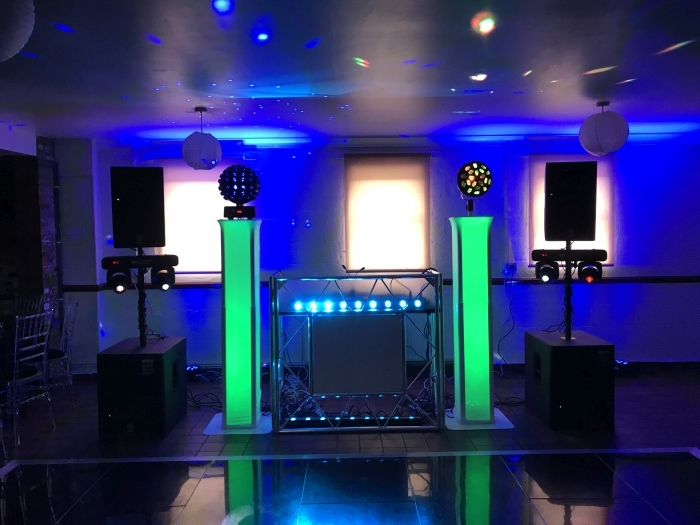 It is always a privileged to be chosen to DJ at weddings as there are many DJ’s who offer their services, but I pride myself on achieving customer satisfaction for my clients. 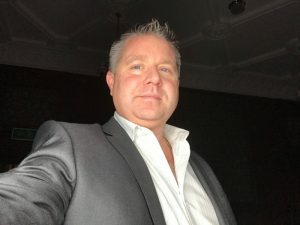 I have produced a comprehensive FAQ section that I hope helps answer many of your initial questions, you will no doubt have many more and please feel free to ask as many as you want. Visit FAQ section here. I deeply care about your wedding disco and feel it is my responsibility to ensure it is a complete sucsess and to provide as much advice and guidance as possible for your day to help you as much as possible and as such we like to produce a plan for the day detailing when and where we are needed, what tunes or style of music is required and at what time. 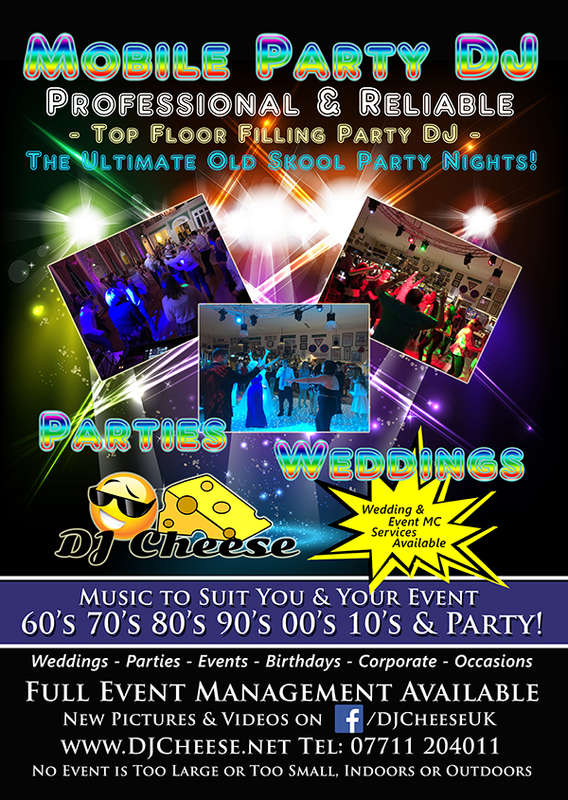 For example, we might be providing background music during the wedding breakfast and that might be a Jaz set, Acid Jaz , Swing or classic love tunes from the decades, I might be required to play 70’s disco on arrival of evening guests moving on to 80s R&B or 90s Dance, Requests from your guests might be allowed or not, you might have a no play list of tracks to avoid, you might wish to use wireless microphones during the speeches. But rest assured whatever the requirements are we will produce a printed list / plan and share it with the others we are working with on the day. 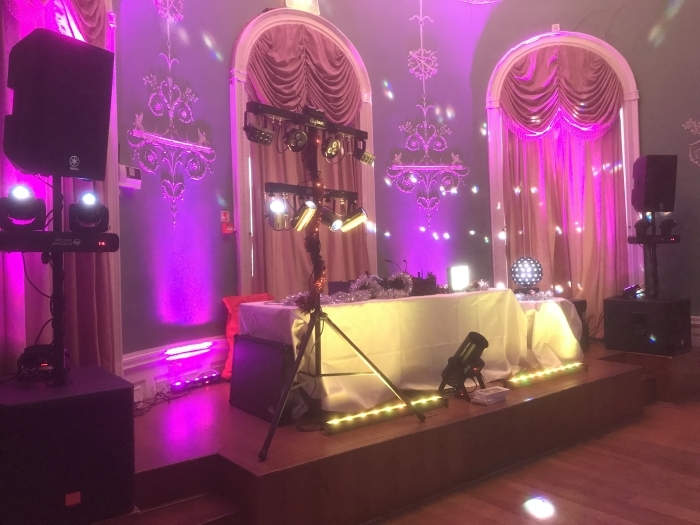 As a professional full time Wedding DJ I am available to be booked on any day of the week all year round, unlike other DJ’s who have other jobs I am available for mid-week bookings. Please be mindful that some of the most popular dates do get booked up 18 months in advance. Midweek off peak special rates are available and represent an amazing great deal when compared to prime weekend dates! 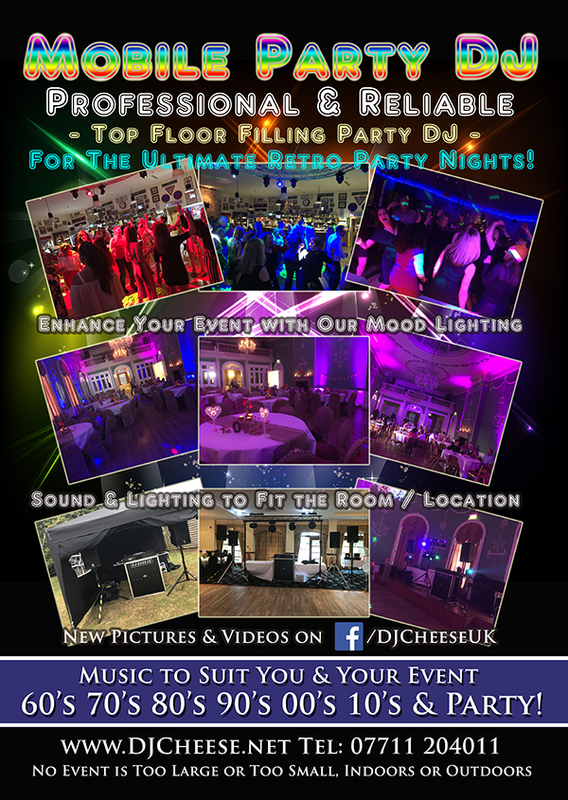 Why not check out my current Midweek off peak Wedding DJ special offers. 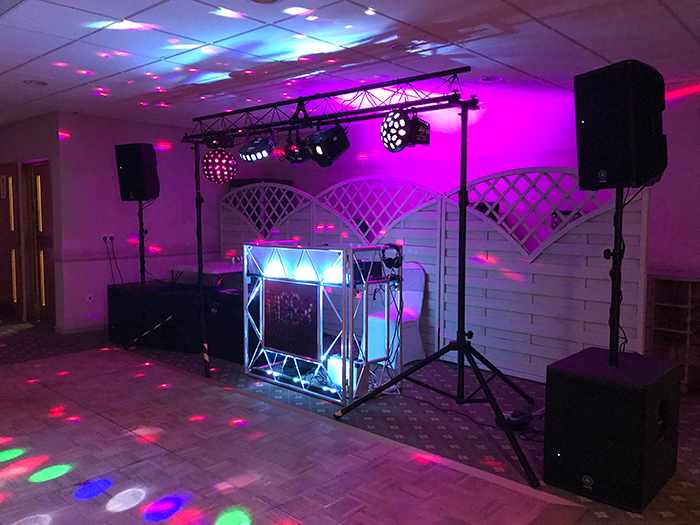 From a minimal clean basic look through to the latest truss based booth and plinths with more lights than you could wish for and the choice is yours. I am in the process of cataloguing various setup choices and will be posting them on here shortly. 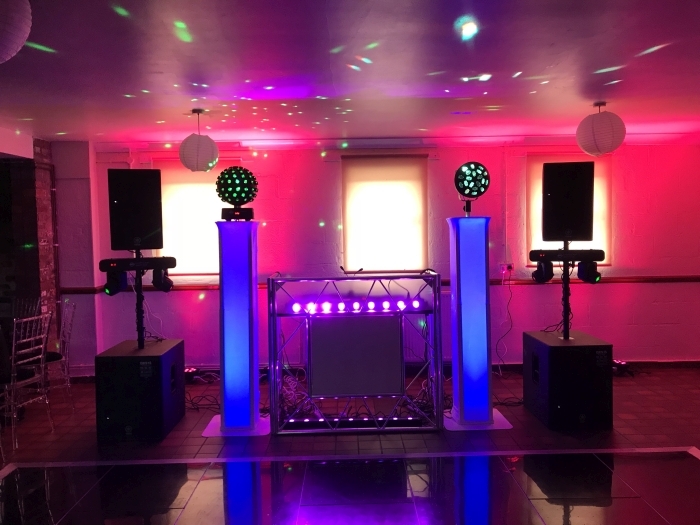 I like to always use the best equipment possible at weddings that I am booked for and room allowing the means bringing my two Yamaha DXR12 Speakers (1100w each) and my two Yamaha DXS15 Subs (950w each) this provides an impressive 4100w of power, that DOES NOT mean it will be uncomfortably loud, what it does mean it will be crystal clear and full of depth, the perfect sound for the perfect day and I am able to deliver a fantastic sound quality no matter what the event be it a 350 person seated function room or a marquee in the grounds of a fabulous venue. 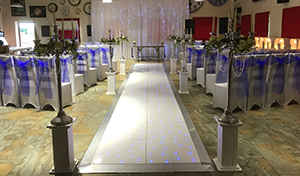 With lots of various setup options available i’m sure we can find one that is perfect for your. 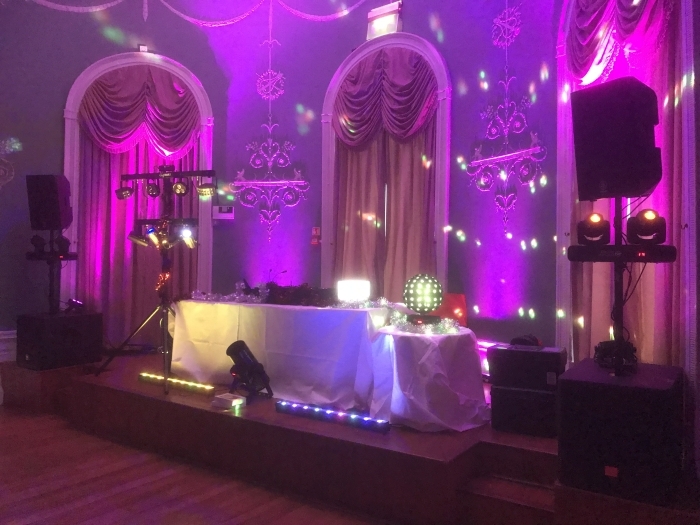 Insurance is something many don’t think about, but as a professional wedding DJ I pride myself in having current Professional and Public liability insurance. 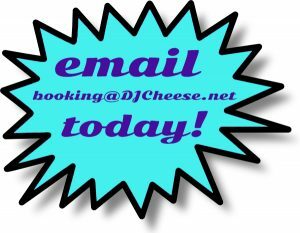 This protects you financially should your DJ make a no show! 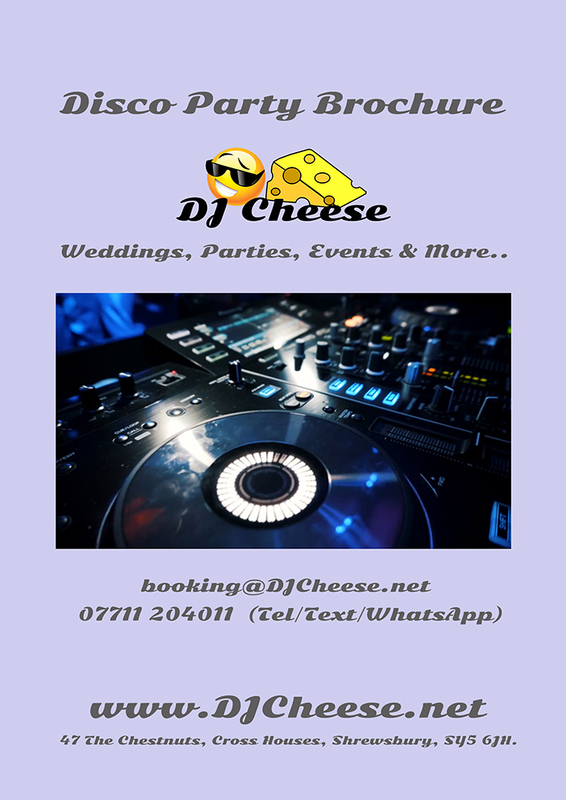 I personally have always attended every gig I have been booked for, but I have spoken to many brides with a week to go before their wedding where their uninsured DJ has cancelled them. I am happy to provide a copy of my certificate of insurance to all clients without hesitation. 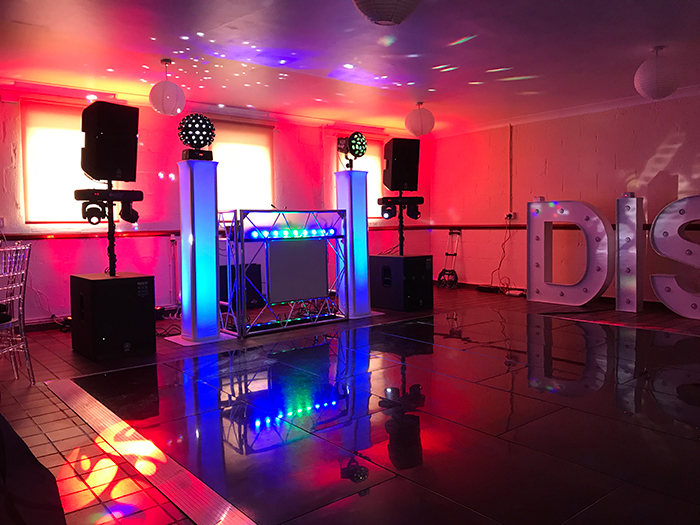 I have recently started producing a small blog for all my gigs, not only does this provide a great resource for prospective clients it also provides some great photos and sometimes videos from my view of the dance floor. 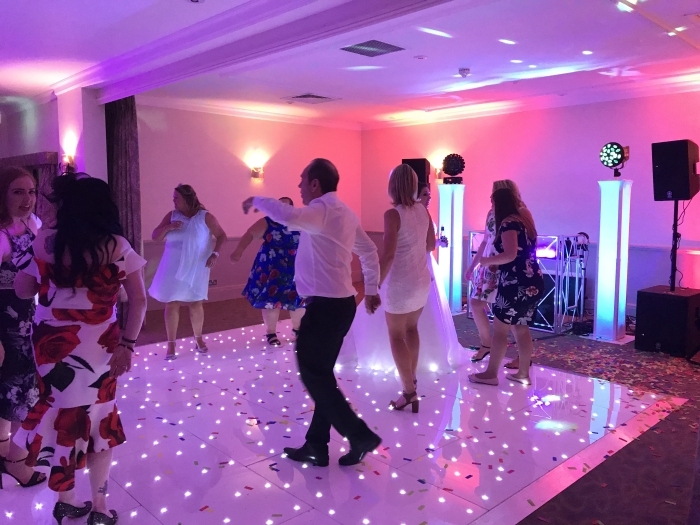 😊 Have a look at a recent wedding that I have featured in my blog, you will see lots of pictures and a couple of videos showing that I know how to make your wedding dance floor rock. 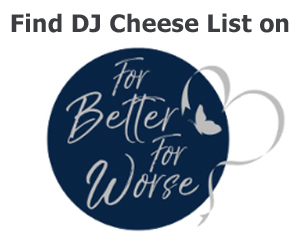 Wedding DJ Blog. View sound and lighting options here. Fancy somthing a bit different and special? 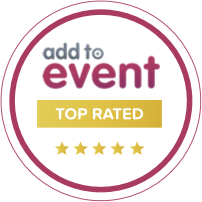 Ask about my confetti canon and dancing on a cloud options – both are perfect for your first dance and provide an amazing effect for your pictures and video. Free no obligation quotation. Further useful information can be found here. 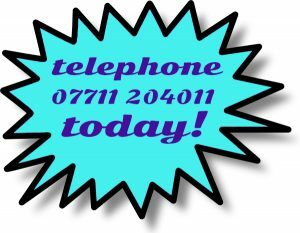 Telephone, Text or WhatsApp 07711 204011 today! 2018 Dates are filling up, don’t miss out! Put your date on hold today.